During a trip to visit my mother-in-law in Houston, my husband and I made a day trip to Galveston Island. We drove all over the island, especially through the older neighborhoods. 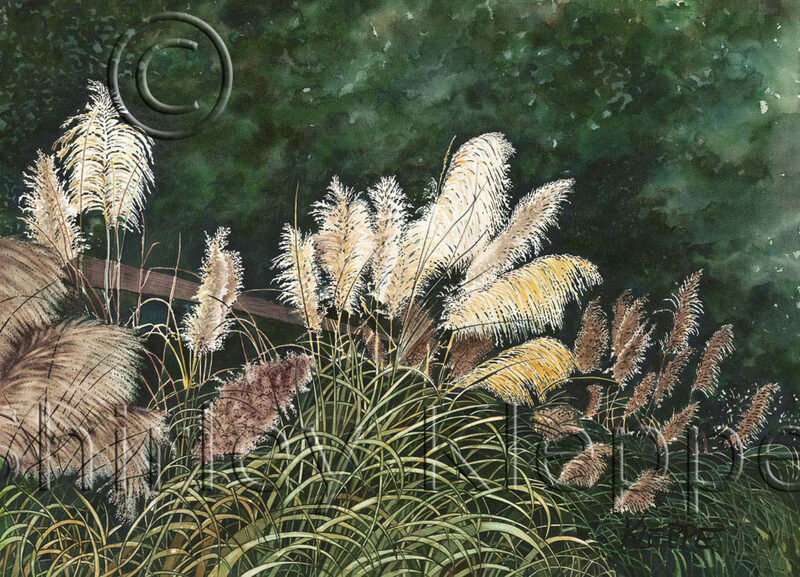 I was watching for potential painting compositions, when we drove past a huge group of pampas grass. 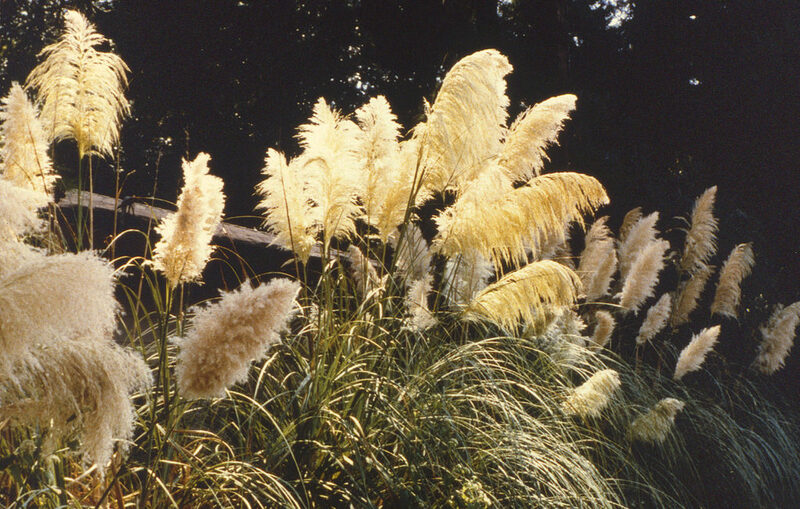 The sun shone brightly on the great fronds with the background in subtle tones of darkness. Grass in itself is not interesting, but the light on the huge, puffy frond heads was irresistible. Drawing and painting the giant grasses was a gigantic challenge. I loaded pigment over the drawing and came back in with a palette knife to carve out the grasses. One by one, I redefined each grass. This took so much time, but it was so effective. I am glad I did it. The painting’s first show was “Women Creating Tomorrow Fine Art Competition,” Sedona Art Center, Sedona, Arizona, May 7-8, 1983. Its next show was “The Color Flow,” Galleria Mesa, Mesa, Arizona, October 26-November 15, 1983. I still own this painting. This painting is on a ‘full sheet’ at 20.769″h x 28.835″w. It was painted on d’Arches 140 lb cold pressed paper with Winsor & Newton tube pigments, and Winsor & Newton Kolinsky Sable brushes. The paper, was water-soaked for a few minutes, drained, and squarely placed on a 1/4″ piece of Masonite board. Extra water was dabbed up with paper towels, and brown glue-tape placed 3/8″ over the paper on all four sides. The board with the taped paper is allowed to air dry in a horizontal position out of the sun. When the paper is dry, usually after one day, the paper is drumhead tight, and ready for painting.